Absolute Truth of Sanathana Dharma(Hindu): Why Snana Yatra is Celebrated? Why Snana Yatra is Celebrated? A special bath of Jagannath takes place on the Purnima of Jyestha month (Devasnan Purnima), to commemorate the appearance day of Lord Jagannath. According to Skanda Purana when Raja Indradyumna installed the wooden deities he arranged this bathing ceremony. This day considered to be the birth-day of Lord jagannath. Held in the full-moon day of the month of Jyestha this festival is also simultaneously held in all other important Puri, it attracts thousands of visitors and pilgrims from all over the country. 'Niladri Mohadaya', a religious text written in Orissan (Oriya) records the rituals of the festival. Sriharsa in his 'naisadhiya Charita' (XV.89) also refers to this festival of Purushottama. This bathing ceremony has a speciality. As this festival does not find mention in the early religious texts, it is believed to be a tribal ceremony. Lord.Jagannath in His early form was being worshipped as Nilamadhava by a Savara chief called Viswabasu. The story is nicely told in the drama Jagannath Priyan natakam. Till now it is the Daitas and Savars (tribals) who have the exclusive right to conduct the festival. The tribals called Saoras (of southern Orissa) still perform a rite to bath their Deities ceremonially on the last day of the month of Jyestha. For this they collect water from remote Jungles where it remains untouched even by the shadow of the animals. On the previous day of Snana Yatra the images of Jagannath, Balabhadra and Subhadra along with the image of Sudarshana are ceremonially brought out from the sanctum in a procession to the Snana-vedi (Bathing pandal). This special pandal in the temple precinct of Puri is called Snana Mandap. It is at such a height that visitors standing outside the temple also gate a glimpse of the Deities. On the fourteenth day (Chaturdashi - the day before the bathing - Purnima) when the Deities are taken out in procession, the whole process is called Pahandi or Pahandi vijay. Scholars have given different interpretations of the term ('Pahandi'). Some opine that it has been derived from the term 'Praspanda' meaning movement. Some others are inclined to interpret it as derivation from Pandya vijaya. For the festival the the Snana Vedi (bathing platform) is well decorated with traditional paintings of trees and gardens. Flags and toranas (arches strung with mango leaves) are also put up. The Deities are profusely decorated with flowers. 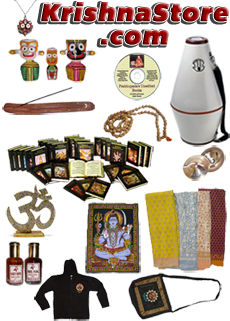 All kinds of perfumes such as Dhupa (incense), Aguru (oils) etc. are then offered. As the 'Pahandi' of the Deities takes place to the accompaniment of music and beating of various indigenous drums. Thousands of devotees jostle and crave for a look at the Deities in procession. In Puri the bathing procedure is as follows: After Mangala Arati, the Suaras and Mahasuaras go in a ceremonial procession to fetch water from Suna Kua (Golden well) in one hundred and thirty, vessels of copper and gold. All of them cover their mouths with a piece of cloth so as not to contaminate it even with their breath. Then all the vessels filled with water are preserved in the Bhoga Mandap. The Palla pandas (a class of Brahmin priests) then purify the water with Haridra (turmeric), Java (whole rice), Benachera, Chandan, Aguru, flowers, perfumes and medicinal herbs. ritual is called 'Jaladhibasa' (Jala - water, abhishek - bath). Prior to the bathing ceremony Jagannath, Baladeva and is Subhadra, covered in silken cloth and then smeared with red powder, are taken in procession to a platform which is specially decorated and purified with water and incense. One hundred and eight gold vessels are filled with water taken from a special well containing waters from all the holy tirthas. Abhiseka is performed with this water, accompanied by the chanting of vedic (Pavamana Sukta) mantras, kirtana and blowing of conch shells. Due to the amount of bathing liquids that are offered to cool the Lord's transcendental body at this time, bear in mind that this is the hottest time in India just prior to the refreshing monsoon rains, His painted form takes a bit of a wash-out. The colouration of the Deity's faces are painted on with natural earthly mineral paints not modern oil based paints, so when water is applied to cool Their forms it also has the effect of washing away the features of he former painting. As usual the Lord has a plan to make everything go smoothly. To bridge the episode of His bathing and the period that He comes out to bless everyone for Rathyatra He organized some special pastimes by which he devotees can serve Him and remember His wonderful forms. So to keep a wonderful mood of seeing the Lord in an uplifting manner the Lord arranged for the Hati Vesha festival where Lord Jagannatha and Lord Balaram then puts on the elephant dress, Hati Vesha, and Lady Subhadra wears a lotus flower vesha. The original story is told in several different ways, some call Hati snan (elephant bath) some call Ganesh abhishek as they identify the following story as being the original cause of the Lord to wear this elephant vesh for His devotee: It is said that a staunch devotee of Lord Ganesh and himself a profound scholar visited Puri during Snana Yatra. He was amply rewarded by the king of Orissa for his scholarship. The king asked the scholar to accompany him to see Lord Jagannath which he refused under the pretext that he wouldn't worship any "God" other than his Ishthadevata Ganesh. Somehow he was persuaded and brought before the Snana vedi. To the utter surprise of all, Lord Jagannath appeared with an elephantine form that resembled as Ganesh. Since then during Snana Yatra when the sacred bath is performed, the Deities are dressed like like elephants - resembling Ganesh. Various other legends are also told and reasons assigned explaining the Ganesh besa (vesha). During the sacred bath the colours painted on the images generally fade. seeing the wooden deities in discolour devotees may not have the appropriate devotional attitude and in fact may feel sinful repugnance. For this reason, the images are immediately dressed in the Hati vesha (besa) in which they remain mostly covered. After the Snana Yatra, the Deities are kept away from public view for fifteen days and during all these days the daily rites of the temple remain suspended. As Jagannatha himself instructed, after this ceremony, he is not seen for a fortnight. The Deities are kept on a special "sick room" called the Ratan vedi inside the temple. This period is called 'Anabasara kala' meaning improper time for worship. It has been said earlier that the Deities are discoloured as a result of the sacred bath - some say look a bit off colour........ During these fifteen days the Daitas (descendants of Viswavasu, the Savara) repaint and restore the Deities and Jagannath's fine decorations. The period of colouring and decorating the Deities is divided into seven short periods, each of two days duration, and a short period of one day set apart to give finishing touches. Thus the period covers the whole fortnight. On the 16th day the Deities in their new forms after renovation become ready for the public view - darshan. The festival of the first appearance of the Lord Jagannath to his devotees is called Netrotsava (festival for the eyes) or Nava Yauvanotsava (festival of the ever new youth). According to priests of the Jagannath temple the devotee washes away all his sins if he gets a vision of the Lord on this day. On this occasion, therefore, great rush of people occurs in the temple. The Shilpa Shastras and Agamas testify that the Deities become suitable for worship only after the performance of the rite of 'Chakshyu Unmilana' (Opening of the eyes). During 'Anabasara', the Daitas offer to the Deities only fruits and water mixed with cheese, and and Dasa mula medicines to cure his fever.. In a devotional mood the devotees accept that due to all the bathing the Lord becomes transcendentally poorly, and therefore needs to take rest. Like human beings they are considered to have fallen ill and are treated by the Raj Vaidya or the King's physician with specific medicines (Dasamulas). The temple-festivals which are held in a bigger and elaborate scale in the important shrines of Puri and Bhubaneswar are also held simultaneously in all other small shrines of the respective Deities, though in modest scales. Likewise the Snana Yatra is held in many other temples of Orissa, and now all over the world. Other deities may also receive abhiseka on this day. One should perform puja and bathe the Deities with water or panca gavya and pancamrta while chanting the vedic mantras like purusa sukta. The Snan yatra bathing ceremony of Lord Jagannath has become one of the most popular festivals on the Iskcon calendar over the years since His Divine Grace Srila A.C. Bhaktivedanta Swami Prabhupad introduced it to the world outside of India. Traditionally this festival has been going on since the time of the carving of the 'Dharu-brahman' Deities of Lord Jagannath, Lord Balaram, and Lady Subhadra in Sri Purushottam Kshetra (Jagannath Puri) thousands of years ago, commemorating Their sacred appearance for Their devotees - primarily the saintly King Maharaj Indradyumna. Many of you would know that after the bathing ceremony the Lord catches a transcendental chill, are fed sweet foods and drinks to break Their fever, and then retires for Their 'Anavasara kala' - recuperation period. In Jagannath Puri where the Deities are painted with natural mineral paints, after the bathing ceremony the paints have a tendency to run and the Deities would be not viewable to the general public. So to allow the devotees to partake further in the Lord's pastimes, They made a special arrangement with one 'brahmin' who came to visit to take 'darshan' at this time. Lord Sri Krishna, Jagannath is the Lord of the Universe and so in essence is the original creator of everything, nothing exists without Him. In one sense then everything is Him, at least coming from Him. Just as in the creation of a by-product from an original source the by-product has it’s existence by association with the original object. 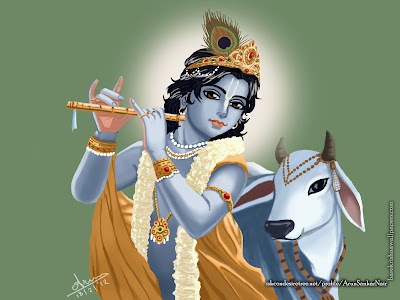 Shastra gives the example of milk being transformed into yogurt for a functionary analogy of Krishna being like the original source (milk in this case) and lord Shiva being like yogurt, having come in contact with a culture for his functionary activities in the material world. The milk therefore in one sense created yogurt, but that yogurt can never again become milk. Therefore it, although one in origin, it is different, becoming secondary or mutated potency and therefore lessor in potency and function. This wonderfully merciful and enlivening story of the Lord knowing the heart of His devotee, and personally bestowing His mercy upon him has nothing what so ever with that deviant philosophy. The story goes that this 'brahmin' was a devotee of Lord Jagannath, but for some reason expected to see the elephant-headed deva, Ganesh, in the temple. The 'brahmin' was somewhat disappointed seeing the deva / demigod not there, and that Lord Jagannath had been bathed already and that They were looking a bit 'off colour' with Their mineral paint colours running. In many ways the hearts’ desire of that devotee were unfulfilled. Then that night, knowing his heart, the Lord appeared to the devotee in a dream and told him to go back to the temple and he would not be disappointed. Rather all his desires would be fulfilled by worshipping Lord Jagannath and not by separatedly worshipping any deva (Bhagavad Gita 9:23.). The all merciful Lord then appeared to his devotee; Lord Jagannath and Lord Balaram assumed the appearance of beautifully decorated elephants, while Lady Subhadra decorated Herself as a Lotus flower. From that time on they began the Hati Vesha (Elephant Mask) festival. Consequently some call it the Hati-vesh festival, some the Ganesh-vesh festival. 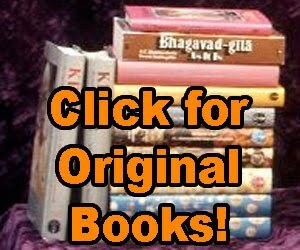 Both are correct – the Lord assumed a special form to satisfy His devotee, just as in other cultures we hear stories of the Lord appearing to Moses in the form of a Burning Bush, or to Mohammed in the form of sound, or as with Jagannath in the form of the Dharu-brahman logs that washed up upon the ocean shore to be carried by the sabara Virabhadra, and fashioned by the architect of the devas Vishvakarma into the wonderful forms of Sriyuts Jagannath, Baladeva and Subhadra maharani we see before us. Formerly when we were in Mayapur we had the rare opportunity to discuss through some local devotees (Jananirvas and Pakajanagrhi prabhus) with 'pujaris' from Jagannath Puri who were helping to authenticate Iskcon's 'seva' to the Lord at the Jagannath temple in Mayapur. They described to me the festival, and how to execute it. Since then we began that festival in Melbourne, Australia where the festival is still an escalating favourite with all of the congregation of devotees. In essence the festival begins with Their Lordships coming to the Snan-Vedi. At this time everyone there gets the great blessing of being able to render the service of bathing the Lord in nectarean natural bathing substances. After that the Deities return to the altar to be cleaned off, where They are tended by Their 'sevaks'. The Deities are then dressed in their 'Hati Veshes' (Elephant Masks) and offered a wonderful myriad of sweets and sticky buns, cakes, and local delicacies - as all elephants, and especially These Transcendental Ones, love. The curtains are again opened leaving the food offerings of love for all to see before the Lord. The 'Arati' ceremony is then performed, and according to the Jagannath pujaris, traditionally it is accepted that the Lord bestows all benedictions and blessings upon those fortunate enough to be there to see Them there in Their Elephant masks. After the 'Arati' the Deities retire to Their 'Anavasara' rest rooms to 'restore the colour to Their cheeks', where the Lord will be served in private intimacy for the next couple of weeks up to the 'netrotsava' or 'nava yauvanotsava' - first restoration 'darshan'. The abundance of offerings are then distributed for a small donation to all the eager devotees who wait to savour the culinary blessings of the Lord too. Their Lordships now have their very own Hati Veshes so that everyone may participate in this transcendental festival.